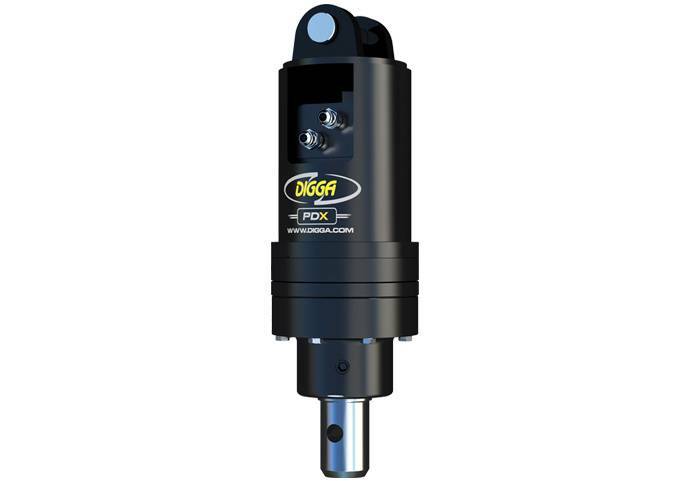 Digga’s PDD to PDX2 range of drilling auger drive units are ideally suited for micro excavators and small skid steer loaders with a flow between 15 to 55 lpm. Ideally used for drilling holes for fencing, tree planting, house foundations, and more. Innovative design allows the gearbox to go down the hole to maximise drilling depth without extensions, eliminating downtime and minimises maintenance, optimising your returns. Digga planetary auger drives are fitted with Digga / Eaton bell motors specially designed for drilling and augering in most ground conditions. Angled fittings allow the hoses to come out the top of the hood so they are out of the way and permits the drive to fit down the hole on 2k motor drives. For pricing or more information about the Micro Excavator: 750KG – 2T fill out the form and we&apos;ll be in touch soon. Alternatively call (08) 9457 1544.